Width: 3.27" Height: 6.22" Depth: 1.24"
Ethernet supports random code generation so that customers can select their own PIN in a work space with adequate privacy (similar to selecting your PIN at an ATM machine). 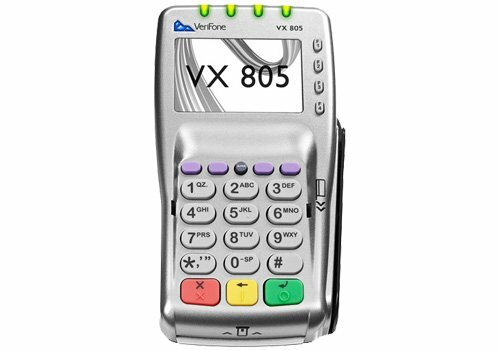 The VeriFone VX-805 has one of the smallest footprints on the market. 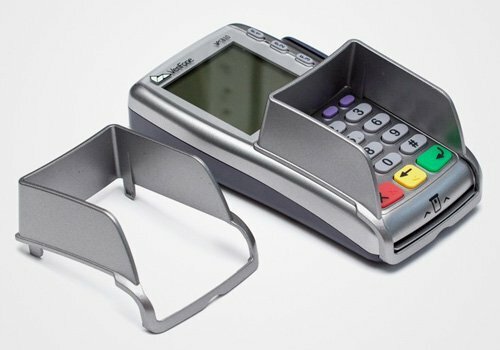 Because of its light-weight, ergonomic design, customers can comfortably pick up the unit, giving them an extra level of protection as they enter their Personal Identification Number (PIN). 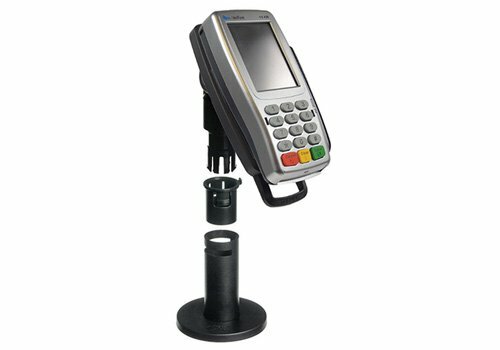 In conjunction with the Evolve Instant Issuance solution, the VX-805 can calculate PIN offsets and update your finanical instituion’s Core and EFT processor in batch or real-time environments.